Re-positioning a Government Service: Growth Services. Growth Services is an important part of the Federal Government’s Entrepreneurs’ Programme. The department came to us looking for assistance with their major communication piece. 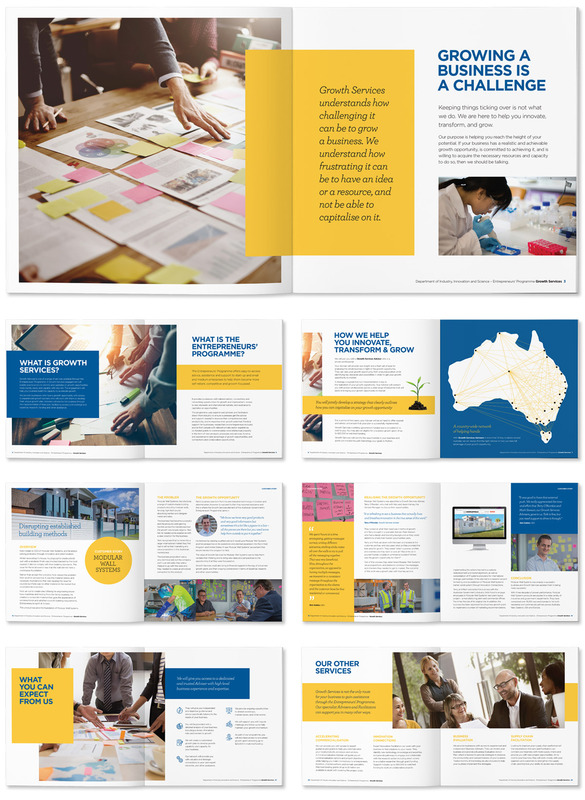 Growth Services connects directly with businesses in Australia to identify areas for growth, and then assists businesses in creating and implementing strategies to achieve this. The service is promoted via business service providers who tend to provide the initial contact and the offer is further explained with direct engagement of a business adviser. Creating a compelling document to better sell the benefits of the programme was key. The collateral that did exist was brief, dry, and did not leverage some of the fantastic assets Growth Services had. We spent some time reviewing everything before we moved forward with a structure that was built around well written copy. 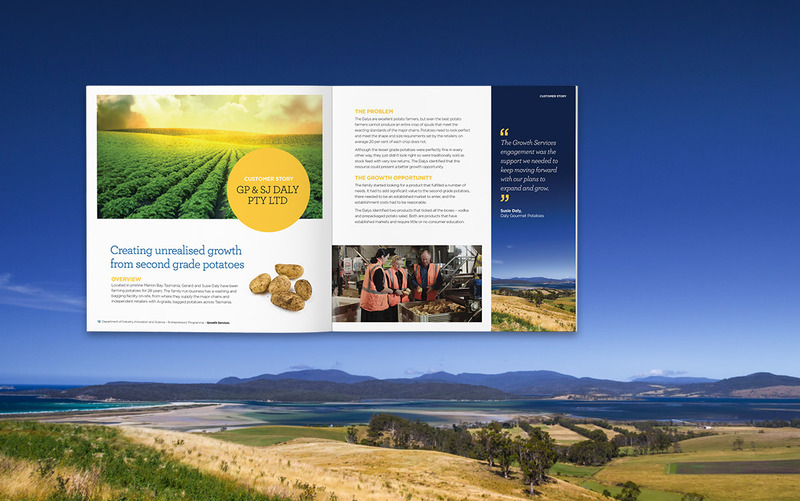 We used existing documents, videos, and websites to re-write the brochure into a more approachable format. This included a solid hierarchy which was anchored by key case studies reflective of Growth Services clients. The overall goal was to create a more user friendly experience with more accessible content.